Despite being a swathe of sparsely populated countryside perched on the coast, Cornwall seems to have a plethora of talented musicians, artists, makers, writers and craftspeople as well as some incredibly innovative inventors, designers and creators. Some of these creatives have moved here with families or friends, having spent their early and late twenties working in the best creative agencies in London and the UK. Some came here for one of the celebrated arts courses at Falmouth University, and never left. Others grew up here, left for uni and came straight back! 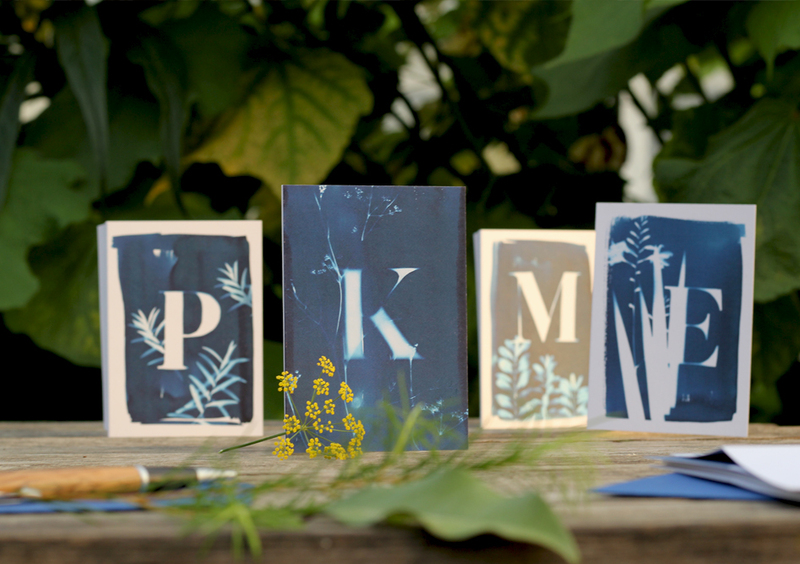 The freedom and outdoor lifestyle of the South West seems to be the perfect nourishment when it comes to feeding creativity and it’s a theme we’ll see again and again when exploring what inspires our makers, writers and designers. Since I started A Wilder Life, my intention was to highlight creativity in Cornwall and around the South West by interviewing some of the most inspirational creators in the county and just beyond the border. Welcome to the creator series! Krystal Fanning was born on the small island of Portland on the Dorset Coast. After choosing Falmouth University to study Graphic Design, she began a career in one of Cornwall’s top graphic design agencies. Eventually in 2016, Krystal made the decision to go it alone and begin a project she’d had on the back burner. 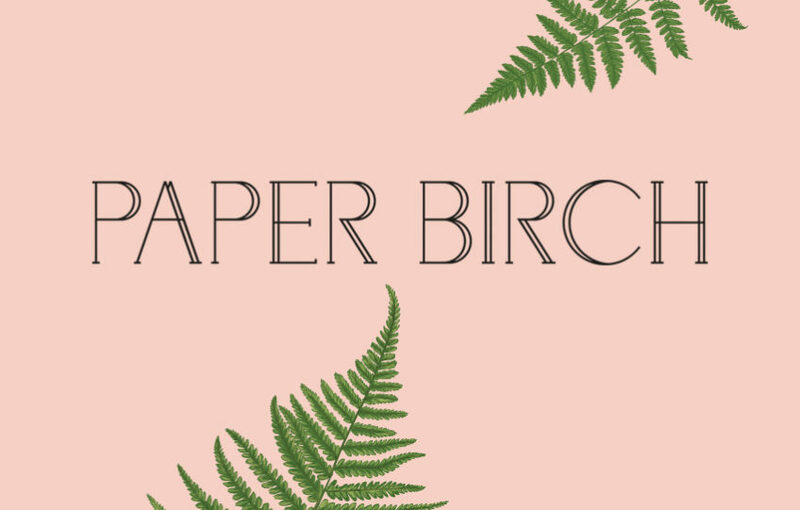 Stationery brand, Paper Birch was born. 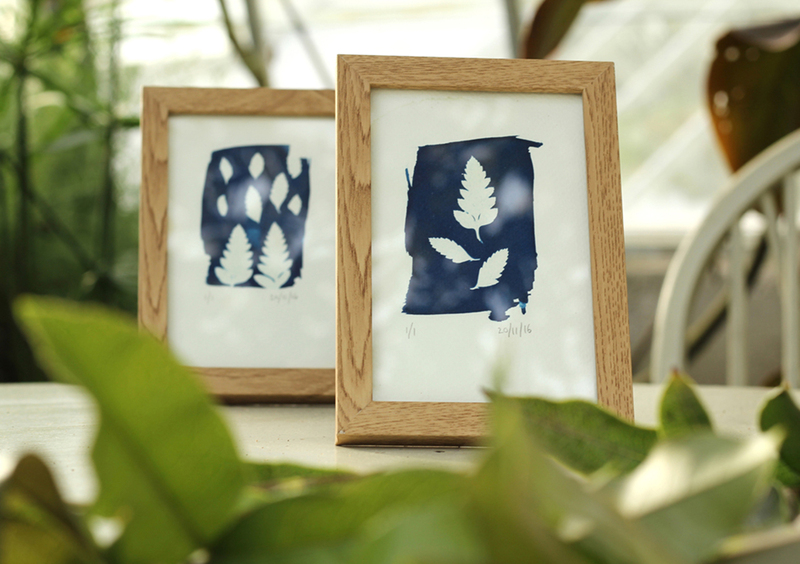 Based in Penryn, Cornwall, Paper Birch is a series of nature inspired stationery and lifestyle products. 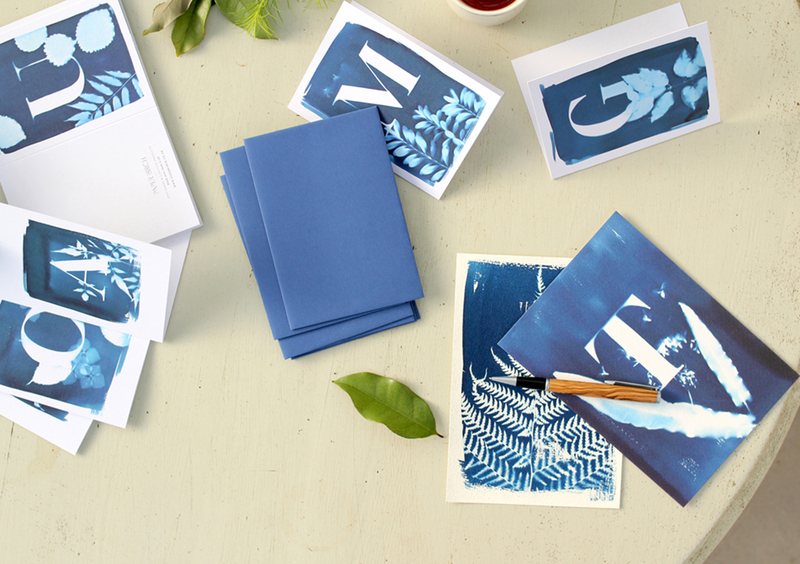 The designs for the stationery and paper goods start life as handmade cyanotype prints, which are then used within designs for notecards, calendars and postcards. 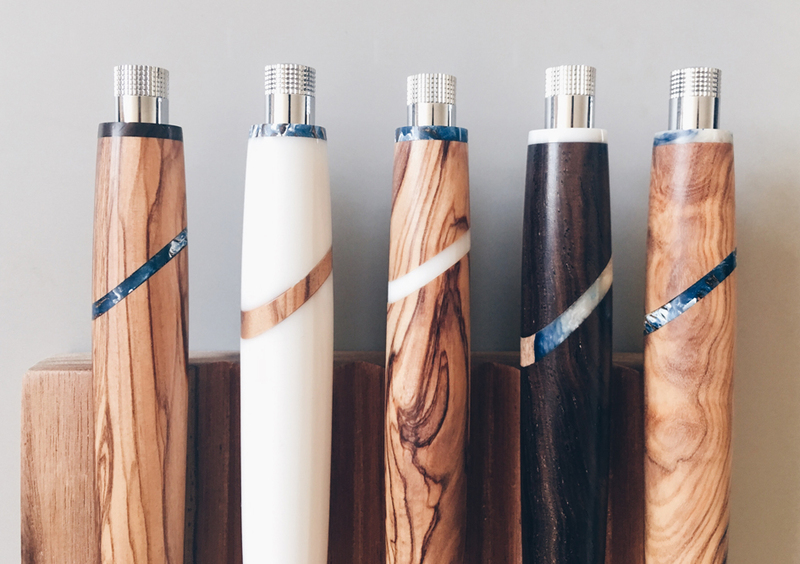 Krystal is also developing a suite of creative tools for Paper Birch that includes hand turned wooden pens and pencils. Where did the inspiration for creating Paper Birch come from? As a Graphic Designer it was a natural fit for me to design products that I would use myself – especially with the stationery side of things. A couple of years ago I took up woodturning as a creative outlet, and that’s what set me off on the path to creating natural, wood based products. I quickly wanted to create a brand around the things I was making. Plants are a strong theme in your work. How else do your natural surroundings influence what you create? I love looking at the detail in things. Natural patterns and textures are everywhere when you start to look – there are so many to be found around the coastline – on the sand, the rocks and in the water. Plant life is still my favourite place to look though. Which are your favourite materials to work with? What do you think of the creative scene in Cornwall? There’s certainly no shortage of inspiration around and there’s plenty of creative companies now, which is nice to be a part of. If you could choose to work from anywhere (apart from Cornwall, obvs), where would it be? How do you see Paper Birch developing creatively? Are there other areas, materials and products wise, that you’d like to pursue? Absolutely! So many things! I’m starting to expand the collection with products that aren’t just cards or paper-based. Materials like porcelain bring a different aesthetic, so I’m hoping to launch a line of new products using that next spring. It’s all still a relatively new venture for me, one that I’m quietly growing alongside other design work I do. 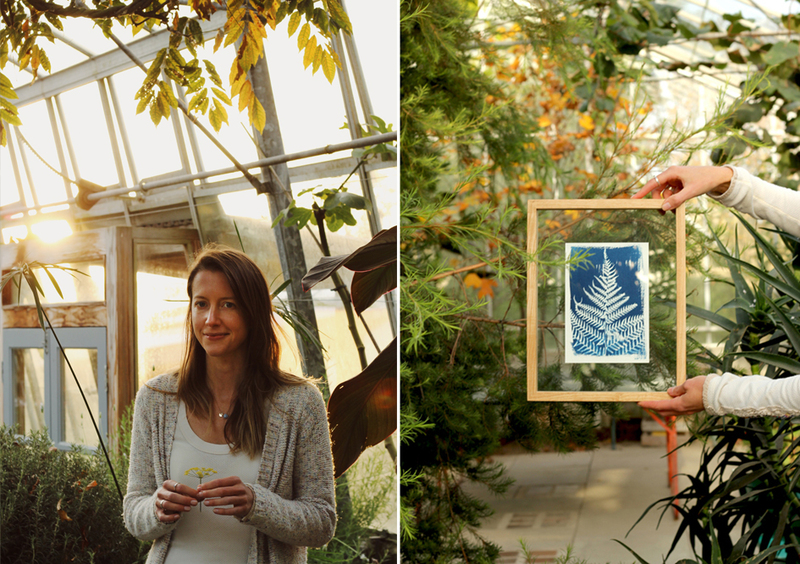 Which creatives in Cornwall do you admire and look to for inspiration? I’m inspired by the people who give up their time to teach people the skills they’ve gained over a lifetime. It’s humbling that they’re prepared to share creative secrets and knowhow. That’s quite powerful. A place where that’s more apparent than anywhere else for me is at the Cornwall Association of Woodturners – they’ve been a huge inspiration to me. What facilities, if any, do you think would be useful to the creative community in Cornwall? It’s difficult to say, as every creative needs something different. Perhaps an online workspace/equipment sharing platform. A facility where people could advertise and share their space or equipment for use by others, and maybe in turn help promote interactions and collaboration between creatives with complementary skill sets. You recently were asked to exhibit at the prestigious Top Drawer in London which is the UK’s leading event for creative lifestyle buyers. That’s a pretty big deal, right?! It was for me at the time as it was a very last minute decision! It’s always somewhere I wanted to exhibit as it’s an ideal place for me to meet buyers from all kinds of retail outlets, from big brands to small boutiques. It was a big step to reveal what I’d been working on to a broader audience but it’s given me a clear direction for where I want to take things.